The St. Louis Zoo in St. Louis sits on a narrow road that winds through the pocket of trees and lawn on the city’s west side known as Forest Park. It’s a beautiful location surrounded by ponds and museums, and a fitting location for a zoo of such renowned stature. 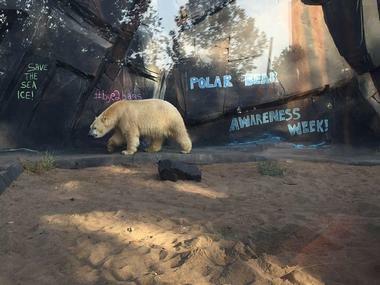 The St. Louis Zoo is widely held to be one of the leading zoos by a number of metrics, known for its outstanding research and conservation programs as well as its educational offerings. Admission to the park is free, as it has been for over one hundred years of operation. In 1904, St. Louis was home to the latest incarnation of the World’s Fair, known that year as the Louisiana Purchase Exposition. The over six-month spectacular event had a lasting impact on the city, and was the impetus for the creation of several of St. Louis’ lasting institutions. The Fair saw the erection of the building that would later become the venerable Saint Louis Art Museum, and it was also the occasion for the Smithsonian Institution’s fabrication of a giant, walk-through bird cage. When the World’s Fair was finally over, the population elected by popular vote to purchase the bird cage from the Washington, D. C. organization before it could be returned, for the amount of $3,500. The first pieces of road to the St. Louis were laid, and within a few years the Zoological Society of St. Louis was formed as a group of citizen’s intent on instigating the founding of a proper local zoo. A colorful civic discourse followed, with local media, citizenry and politicians weighing in on where to place such a zoo. Ultimately, a large parcel of 77 acres was chosen and dedicated to be the home for the new zoo, along with a new Zoological Board of Control to run it. By 1916, the city passed a referendum for a mill tax to support the zoo’s construction at long last. 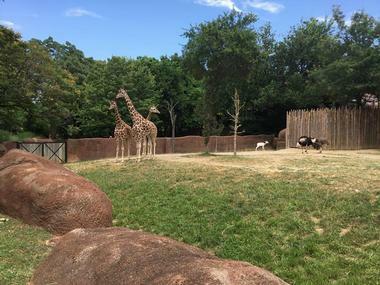 The St. Louis Zoo facility expanded rapidly. By 1921 the moated Bear Pits were added as an attraction, and would prove to be a model for zoos around the world. Soon afterward, the Primate House and eventually the Reptile House and Bird House rounded out the offerings. With the aid of the Civil Works Administration from then-President Franklin D. Roosevelt’s New Deal, the zoo gradually was able to grow its collection of animals and represented locales with antelope, pandas, lions, elephants and an aquarium. Joining the Metropolitan Zoological Park and Museum District, a cultural tax district in both the city and county of St. Louis, Missouri which reserves subsidies for the zoo as well as art and history museums and the Missouri Botanical Garden, the zoo was able to expand further and retain its free admission policy. Today, the zoo offers more than 90 amazing acres of animal and environment exhibits, zoo attractions, and shops available for guests. The various exhibits and displays are divided into zones, which focus on particular animal or climate types. 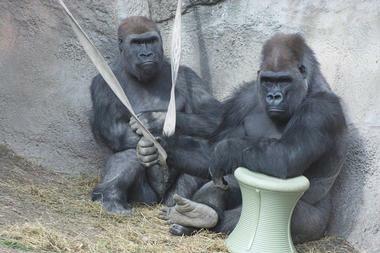 The St. Louis Zoo has a considerable range of educational activities and programs available for visitors of any age. The St. Louis Zoo’s River’s Edge Zone aims to simulate the ecology of waterways and plains around the world, offering insights to the many ways that animals, plant life and humans interact. It is the first “immersion exhibit” built by the zoo, and includes lush and engrossing flora to flesh out the environments and offering a wide variety of unique species from many different continents. Featured animals include South American native wildlife such as Andean Bears, giant anteaters, bush dogs and capybara—a giant man-sized rodent which is the largest of its kind anywhere in the world. Also on display for guests are black rhinos, wild hogs, bat-eared foxes, and a recently added exhibit of painted dogs from the African Savannah; hippos, cheetahs, and hyenas from the African Nile, the Sun Bear Forest with its Malayan sun bears and Asian elephants, and a recreation and examination of Missouri wetlands and a Missouri River aquarium. 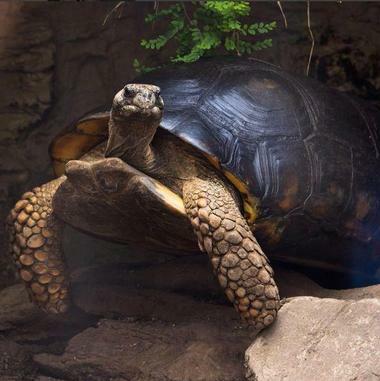 With The Wild Zone, the St. Louis Zoo showcases that variety of interesting and surprising ways that animals have adapted to the differing environments and climates around the globe using a litany of natural abilities. The Zone offers a glimpse into a sub-Antarctic habitat containing a number of penguins and puffins, and even offers the opportunity to see a polar bear in its expansive enclosure featuring both above ground and underwater viewing. The Wild Zone also showcases the “Fragile Forest,” the outdoor summer location for the zoo’s population of orangutans, gorillas, and chimpanzees, and the “Jungle of the Apes,” the winter time residence for the primates. An ornate and highly detailed Mary Ann Lee Conservation Carousel features all animals from endangered or threatened conservation statuses and is a fun way to get children and adults alike attuned to the conservation conversation. Discover Corner is the St. Louis Zoo’s Zone for unique experiences interacting with wildlife. The Monsanto Insectarium offers visitors an in-depth look at invertebrates and insects that include Peruvian fire sticks, moths, cockroaches, lady bugs, dragonflies, and butterflies. The Emerson Children’s Zoo offers youngsters a petting area for interacting with laid back and fluffy creatures, and also a number exhibits with such animals as meerkats, Tasmanian devils, the adorable fennec foxes, and the adorably odd naked mole rats. At the Caribbean Cove, there’s even a shallow saltwater pool where guests can interact with stingrays. The Historic Hill zone is situated in the oldest part of the St. Louis Zoo, and still features the original Flight Cage from the 1904 World’s Fair expo that laid the groundwork for the zoo’s creation, as well as the early exhibits that include the Bird House and Primate House from the 1920s. A number of modern enhancements have rounded out the displays here, which include the Chain of Lakes exhibit, showcasing amphibians, waterfowl and other water-based wildlife such as sea lions, alligator snapping turtles, river otters and swans. 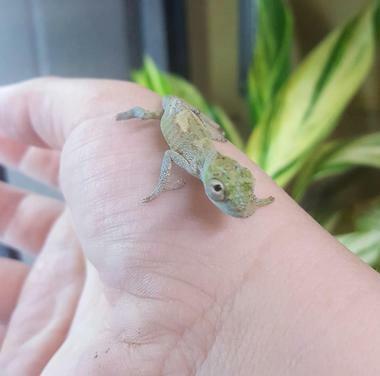 The Herpetarium is home to an even wider variety of reptiles and amphibians and offers visitor’s the experience of visiting four different climates in one building. Animals featured here include lizards, alligators, crocodiles, frogs and toads, turtles and tortoises, and a number of snakes. The Bird House offers sightings of macaws, hornbills, and eagles, while the venerable Flight Cage contains heron, cormorants, spoonbills, and other aquatic birds indigenous to the ecology of Missouri’s river wetlands. At the Red Rocks zone, the St. Louis Zoo has an exciting blend of animals that live in the various rough and rocky arid climes of the world. The Big Cat Country exhibit features powerful feline predators including lions, tigers, leopards, and jaguars. In the Antelope Yards, visitors will find a collection of graceful and grand prey animals, including giraffes, zebras, camels, okapi, takin, and of course, antelope. The Zoo line Railroad is a narrated ride along a rail that takes guests throughout the various exhibits and attractions at the park. The twenty-minute tour covers a mile and a half of the most popular areas of the St. Louis Zoo. The Zoo line Railroad has stops at each of the zoo’s different Zones. The St. Louis Zoo offers a number of different dining options for guests, and each Zone has a location and menu of its own. Throughout the zoo, visitors will find the Cafe Kudu, Lakeside Café, River Camp Café, Safari Grill, Ray’s Grill, East Refreshments, Big Cat Beverages, Tundra Treats, Scoop’s Ice Cream Shop, Carousel Café, and even more options around the zoo campus. The St. Louis Zoo offers a number of ways for guests of all ages to interact and learn about the wildlife at the park. It’s educational and conservation programming engaged both the general public and conservation professionals of any level. The zoo offers a number of regularly scheduled shows and feedings. Guests can watch as zoo staff feed penguins, sea lions, and tree kangaroos, and even attend education and captivating shows that offer a peek at the behaviors and personalities of sea lions and other animals. The St. Louis Zoo facility includes an Endangered Species Research Center and Veterinary Hospital, an expansive 17,000-square foot complex that houses the zoo’s research programs, laboratories, and administrative areas. The treatment areas include facilities that can handle the medical needs of nearly the entire variety of wildlife at the zoo and houses cutting edge radiology equipment and technologies, surgical rooms, and a pharmacy. 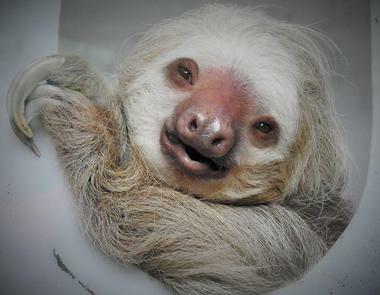 The St. Louis Zoo is open every day, save for occasion holiday hours, and admission is free. Some attractions may have a separate fee and may be weather-dependent. The zoo offers paid parking in two different lots. 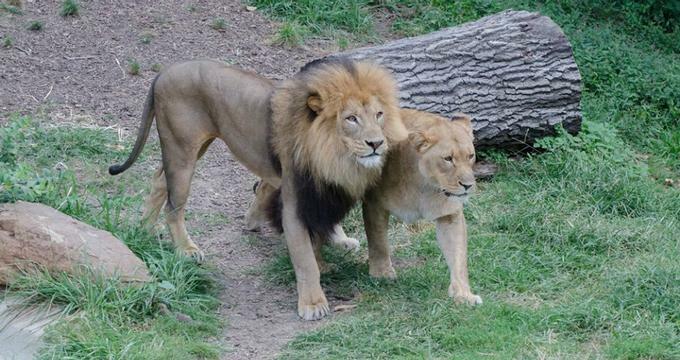 The zoo is located in Forest Park, which is easily accessible from US 40, I-64, I-44 and I-270. With signs along all of the major highways reaching the zoo is easy and direct.